- Publisher Derek Prince (1915-2003) was born in India of British parents. He was educated at Eton College and Cambridge University, England, and held a Fellowship in Ancient and Modern Philosophy at Kings College. He also studied at Cambridge University and the Hebrew University in Jerusalem. Internationally recognized as a Bible scholar and spiritual patriarch, Derek Prince taught and ministered on six continents for over seven decades, imparting Gods revealed truth, praying for the sick and afflicted, and sharing his prophetic insights into world events in the light of Scripture. He wrote over 50 books, which have been translated in over 60 languages, and pioneered teaching on such groundbreaking themes as generational curses, the biblical significance of Israel, and demonology. His radio program, Keys to Successful Living (now known as Derek Prince Legacy Radio), began in 1979 and has been translated into over a dozen languages. Estimates are that Derek Princes clear, nondenominational, nonsectarian teaching of the Bible has reached more than half the globe. Derek Prince Ministries, with its international headquarters in Charlotte, North Carolina, continues to distribute his teachings and to train missionaries, church leaders, and congregations through its worldwide branch offices. 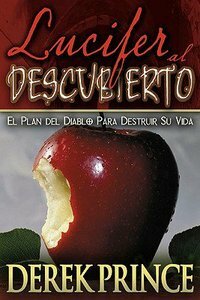 About "Lucifer Al Descubierto (Lucifer Exposed)"
Derek Prince (1915-2003) was born in India of British parents. He was educated at Eton College and Cambridge University, England, and held a Fellowship in Ancient and Modern Philosophy at Kings College. He also studied at Cambridge University and the Hebrew University in Jerusalem. Internationally recognized as a Bible scholar and spiritual patriarch, Derek Prince taught and ministered on six continents for over seven decades, imparting Gods revealed truth, praying for the sick and afflicted, and sharing his prophetic insights into world events in the light of Scripture. He wrote over 50 books, which have been translated in over 60 languages, and pioneered teaching on such groundbreaking themes as generational curses, the biblical significance of Israel, and demonology. His radio program, Keys to Successful Living (now known as Derek Prince Legacy Radio), began in 1979 and has been translated into over a dozen languages. Estimates are that Derek Princes clear, nondenominational, nonsectarian teaching of the Bible has reached more than half the globe. Derek Prince Ministries, with its international headquarters in Charlotte, North Carolina, continues to distribute his teachings and to train missionaries, church leaders, and congregations through its worldwide branch offices.